How to import theme content WordPress? 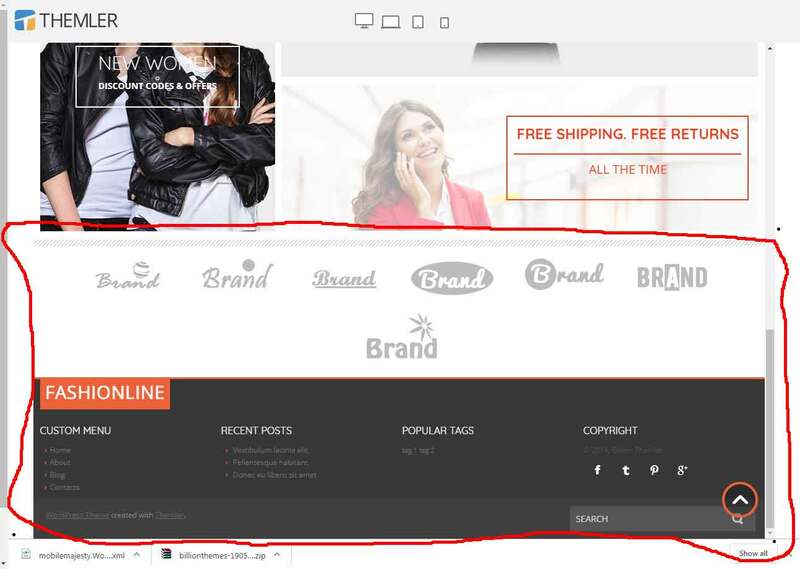 I have installed the 'Fashion Line - WooCommerce Theme' but when I view it online www.mobilemajesty.com some of the content is missing it doesn't look like the site on the demo and there is a folder named 'export' in the zip theme file that I think it's for the content. I tried to find a way to import it. How could I import the theme content? I don't have the "Include Content" option. Please check attachment. Hi I don't have the "Include Content" option. Please check attachment. How can I get it? Do you export from Themler desktop? Could you please try to update the theme to the latest Themler version and export again? I have updated the theme and I do see the "Include Content" option. How could I get it? I have updated the theme and I do see the "Include Content" option. But the content that is in the screenshot wasn't included, How could I get it? Thanks. 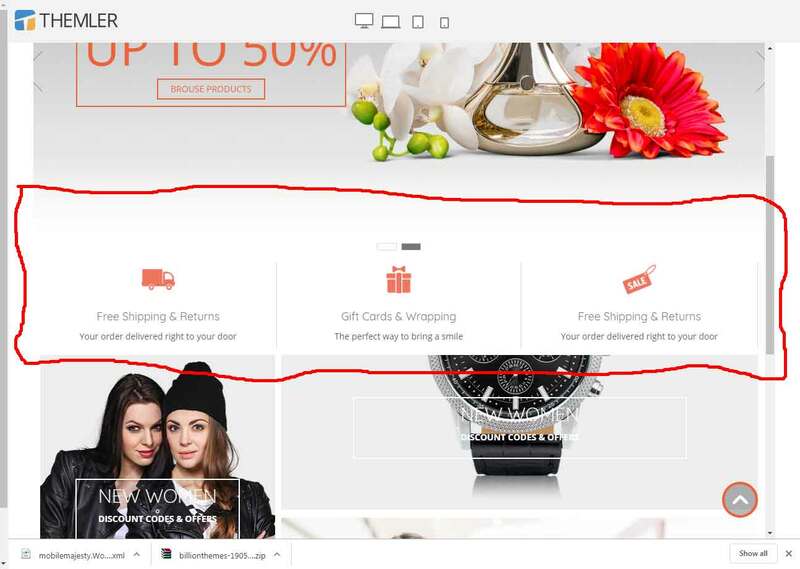 Do you see this content in Themler when you open Fashion Line theme? I don't see it in themler, the contents of every theme I import from billion themes to themler had its content included while back, now it has disappeared every time I import a new theme in themler. I don't see it in themler, the contents of every theme I import from billion themes to themler had its content included while back, now it has disappeared every time I import a new theme in themler. What could have happened? Looks like the mentioned themes were created in an older Themler version and are available for download without content only. So content is just for illustration purposes. Please try to install the theme, and then search for similar sections in the library. How would I know if I have the latest version? what version I have and how would I be able to update it to the latest version. I mean not your Themler version but the version of themes placed on templates.themler.com. In any case they are without content. Anyway, to check your Themler version, please navigate to "?" mark in the top right corner and then to About. If there are newer versions available, they will be dispplayed in Updates (1) at the top in Themler.